We will be hosting a video and photography afternoon for all our eight week students! There will be a limited number of spaces per routine, so make sure you book now to avoid disappointment. ( if you have more than one routine, you will be required to pay for extra ‘spots’). - Nightcap is usually paid for in Ticket Sales by audience members. We will need to pay several staff members to facilitate this event and student course fees do not cover this cost. As much as we want to offer this event for free, it’s not possible due to the financial aspect of paying for professional video and photo. - Ticket sales ensure a committed registration for the event, which mean that folks won’t just sign up and not turn up. This would then in turn cause other folks to miss out. You will need to select which class and routine you will be performing in on the day. If you would like to perform multiple routines, you will need to purchase multiple tickets. There will be no official “run-sheet” for the day, but routines will most probably start at the beginner level and go to advanced with the ‘misc’ classes added on the end. This will be dependent on what students are doing multiple routines in the one genre - which we will find out on the day. If you arrive late past the hour that your genre starts, you will not be permitted to perform. 2pm to 4pm and 5pm to 8pm | No pre-determined times, but there will be a waiting list for you to pop your name down on the day. First in best dressed! You can pop in before or after your videos, however we will be stopping at 8pm even if there are babes who haven’t been photographed yet. So, get in early! You must book in a routine slot to receive the photo session. 1 (minimum) x Edited Photograph of yourself in a boudoir setting downstairs (if you are here for more than one routine, you still only receive one photograph). - Vegan (and some) Gluten Free snacks and drinks for the whole evening. 1. Come with your Hair & Makeup done. There is no opportunity to do this at the studio. 2. Put your belongings in The Dollhouse room, and wait there for your routine and photo session. 3. Pop your name down on the waitlist for the photograph session. 4. You will be called up when your routine is ready. You will be the audience for the entire of your genre. 5. You will be called forth when your photo session occurs (make sure you check the waitlist so that you won’t be upstairs when your shoot takes place!). Please allow a one hour wait time minimum. Whether you're a seasoned Siren or Speakeasy newbie, thoroughly read and understand our Speakeasy Policy. By performing at Speakeasy, you are agreeing to the following information, etiquette and Speakeasy tips. We want Speakeasy to be an enjoyable experience for all Sirens students and Siren staff. - There are no refunds or exchanges on the Speakeasy ticket under any circumstance. No transfers or selling of spots to other students. - You are not permitted to “select” your photograph. We will select the best choice for you. - We won’t be doing any intensive photoshopping as it goes against our ethics at Sky Sirens. We are also trying to run this event as cost effective as possible for both Siren team members and students. - We will be spending a maximum of five minutes per person for the photograph. If we can’t capture a photo of you during this timeframe, we will need to move on. - You should expect Photographic content approximately 4 weeks from the date of the shoot. - There will not be assistant for the shoot, so it will need to be quite self directed. You will not be permitted to use Sky Siren Props or apparatus. - You are not permitted to leave the studio once you have entered. Please note that by RSVP'ing to Speakeasy, you are consenting to videos and photographs of your performance to be distributed on social media and our website. Other students may take photos of you and your performance, that we have no control over. Please consider your involvement with Speakeasy if you are concerned about photographs/video being shared online and in print. Consider your outfit choice and whether you want to go down to pasties BEFORE Speakeasy and not afterwards. If you aren’t comfortable - we advise that you don’t perform. 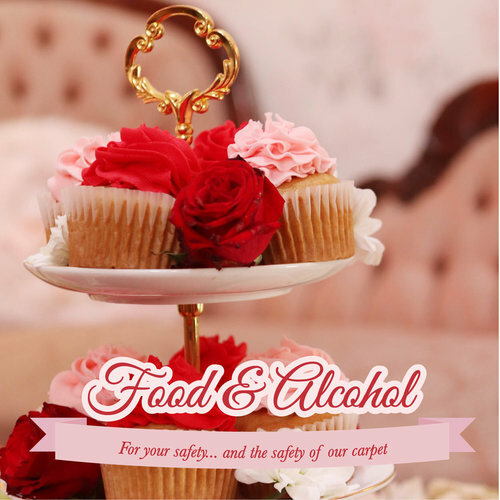 We care about your safety, want the night to run smoothly - and never want to put anyone in a position where they are not consenting to images being taken of them. Please refer to the waiver form should you have any concerns. You can read more about week eight here. Week eight is a great way of practicing in your costume and also getting a feel for how the room will be set up. Please make sure that you are not talking, on your phones or being distracted while the other group are performing. Be supportive and respectful to your peers, as they are just as nervous about performing as you! There is no dress rehearsal, or chance to do a ‘tech run’ at Speakeasy - so please make sure you use week eight to your advantage! You are not permitted to allocate an apparatus on the evening, so please respect your fellow Sirens who require a certain size hoop, Sling or pole position based on their physicality. We recommend trying a different Lyra, Sling and Pole every week, so that you can develop versatility for Speakeasy. If you are fussy about what Lyra, Sling or Pole you are on - please don’t perform at Speakeasy. Hair & Makeup styles are completely up to the individual - we think you'll look stunning natural or made-up! If it's your first Speakeasy and you're unsure, you can't go wrong with a classic red lip, black winged eyeliner and blush - think old-fashioned glamour Silver Screen Siren. Makeup & hair must be done prior to arrival as there is no space for this to happen on the evening. The above items can only be used for touch ups. You will be required to bring these items in a sealed, clear plastic bag (like at the airport). You will be subject to bag checks on arrival and must present your belongings to our Security team. Anybody who is doing hair and makeup (more than a touch up) will be asked to leave immediately. Each routine has a different costume colour every term. You can wear anything within that colour scheme depending on your personal taste. To find out your theme, head to our Siren Videos and check out what the choreographer is wearing in the video of your routine. If you're unsure, you can Speak to a Siren. You definitely don’t need to follow our costuming guidelines if you don’t want to. We just like to give our students the option to match if they want to. If you are looking to purchase an outfit for Speakeasy, we can advise great alternatives to 'Honey Birdette' as we choose to support brands that do not exploit their staff. These stunning alternatives can be found here. It's important to practice in your costume before the night to avoid any wardrobe malfunctions. However, sometimes nip slips, popped pasties and stocking rips happen to the best of us and in this situation - just keep smiling and own it! Make sure you practice your routine with facial expressions - we want to see how much fun you are having on the inside, on the outside! It can be super nerve-wracking performing in front of a camera, especially if it's your first time. If you're feeling nervous, take deep breaths, try not to talk to anyone 5 mins prior to your show and know that your audience is super supportive Sirens! Make sure you warm up prior to your performance so that you don't injure yourself! Sometimes things happen and your fellow group members might flake out on the night. Be prepared to perform on your own (or if possible, with your instructor). We may experience technical difficulties during your performance such as sound and lighting glitches - although this is disappointing and we try our best to ensure it doesn't happen, sometimes technology get's the better of us! The following items are banned from Speakeasy. Every performer will be subject to a bag check, and any items found on this list will be thrown into the bin upon arrival. - Spirit gum, super glue or any type of glue (stick your pasties on before you arrive). - Heat styling tools (etc. hair straighteners, blow dryers etc.). - Hairspray, Dry Shampoo and other styling products. - All makeup (except for pressed powder and lipstick, as described further in ‘hair and makeup’). - Aerosol cans of any kind. 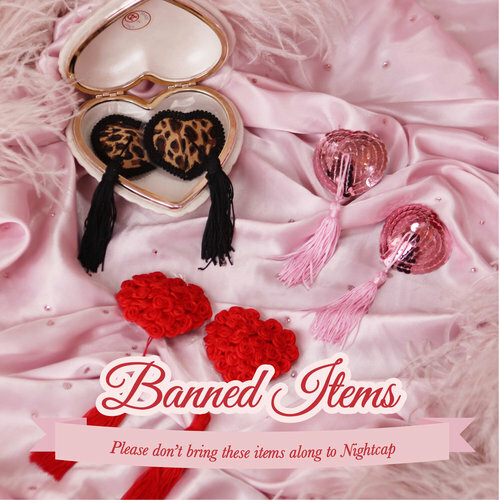 - Lingerie/stocking/clothing/makeup/hair items that are still within a packet or have ‘swing tags’ or stickers and other packaging still left on them (people cut off the tags and leave rubbish all over the floor). - Outside food and drink (water is permitted and encouraged). Performers will only be permitted to bring ONE bag into the venue. No suitcases or large bags/backpacks allowed. Performers with more than one bag will not be permitted to enter the venue. Alcohol consumption is strictly prohibited. Not only does alcohol decrease your ability to perform tricks which affects your personal wellbeing - it also puts others’ safety at risk as you may fall on top of, kick or hit someone. Performers are welcome to consume the food within the Dollhouse room only. No food is to be taken onto any other area. Performers are not permitted to bring any outside food or drink onto the premises. The only food/drink allowed in the change room/reception area is water. Students who are diabetic or have other medical conditions must notify us beforehand as you will be exempt from this rule. Please remain professional and poised throughout the evening and listen to the Siren team members on shift. We don’t allow any guests entry to Speakeasy. This is a private event for enrolled Siren students only. All students must have an allocated routine ‘ticket’ to attend. If you don’t plan on having your routine filmed, you are not permitted to attend the event. This is event is only for students who wish to have routine video and photography done. Please arrive at least half an hour before your video session. If you are late to your session, we will not allow you to enter the room. You must be there at the time it begins to participate. When you arrive, put your belongings in the Dollhouse room and check in with the Siren staff, and wait there for your routine and photo session. Take a peek at our blog posts related to Speakeasy, Performance and Hair & Makeup tutorials. There are many more posts related to these topics - so have a little stalk over at our Siren Secrets page!